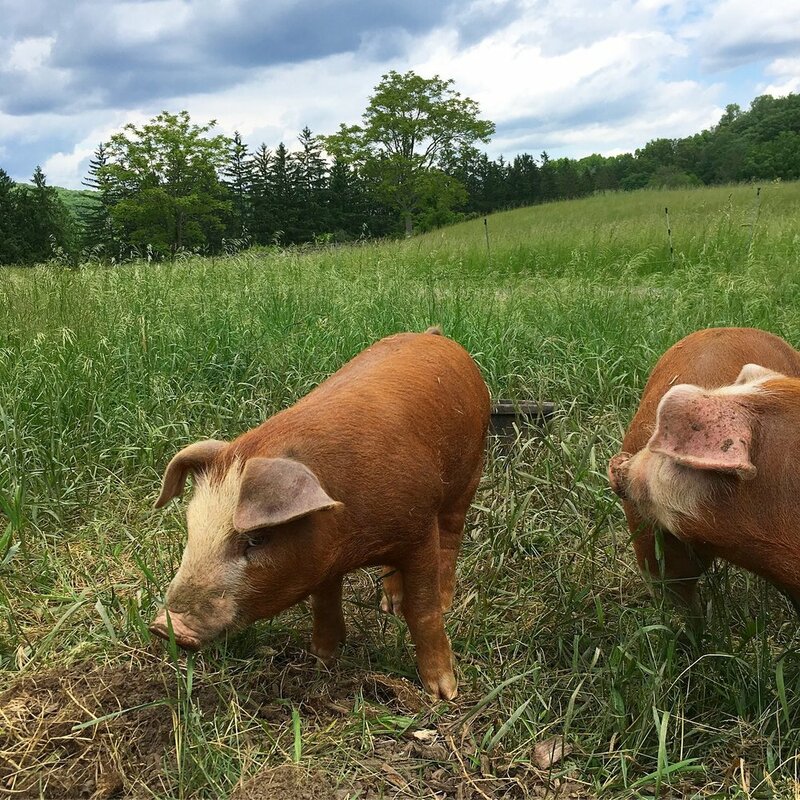 In 2016 we raised pigs for ourselves and a neighbor; the following year we raised extra to sell. We offered four half shares and found providing folks with humanely raised meat so fulfilling we are going to continue on a small scale. 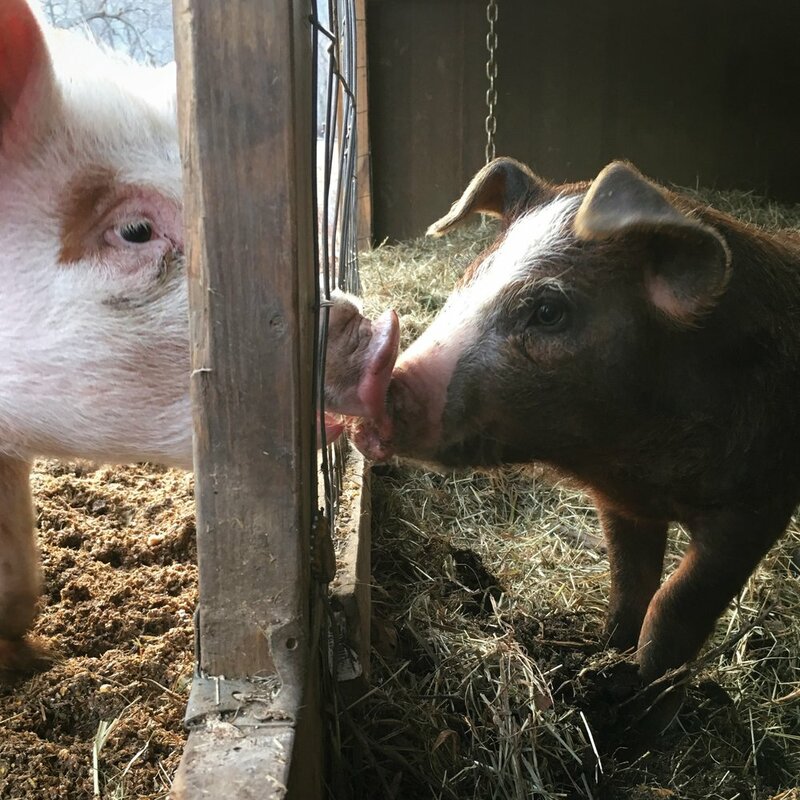 In 2016 we raised pigs for ourselves and a neighbor; the following year we raised extra to sell. 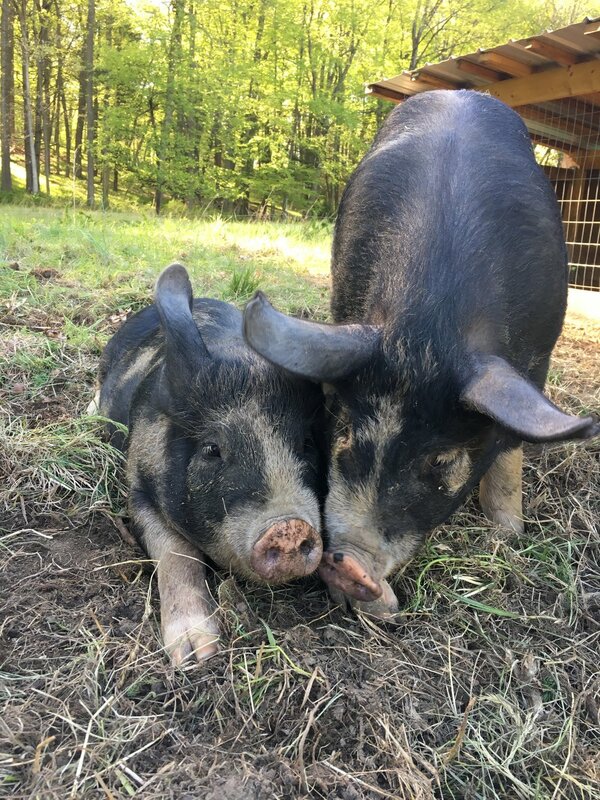 We offered four half shares and found providing folks with humanely raised meat so fulfilling that we are going to continue on a small scale. 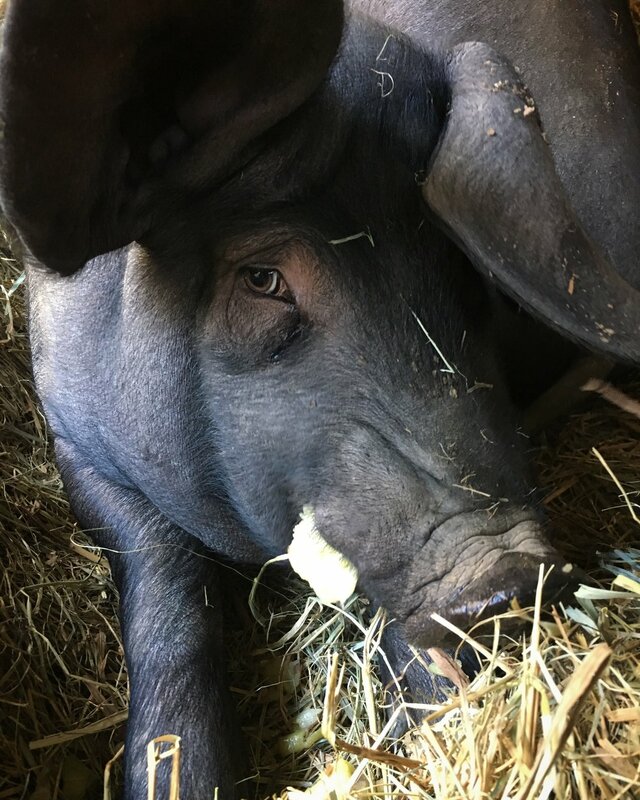 While the breed of pig may vary (we are currently raising Herefords), all are raised on pasture & woodlands, with their diet supplemented by our own grass-fed milk, local corn & oats from C Rowe & Sons Farm, spent grain from Rushing Duck Brewery, pre-consumer food scraps from Dottie Audrey's Bakery/Kitchen & The Fearless Cooking Company, and whey from Edgwick Farm. They are USDA processed at Hilltown Pork Inc (animal welfare approved for humane handling) and come to us cryopacked and labeled. If you would like to stay in the loop regarding availability, sign up for our newsletter at the bottom of this page. For more information please email kristin@ardenthomesteader.com.